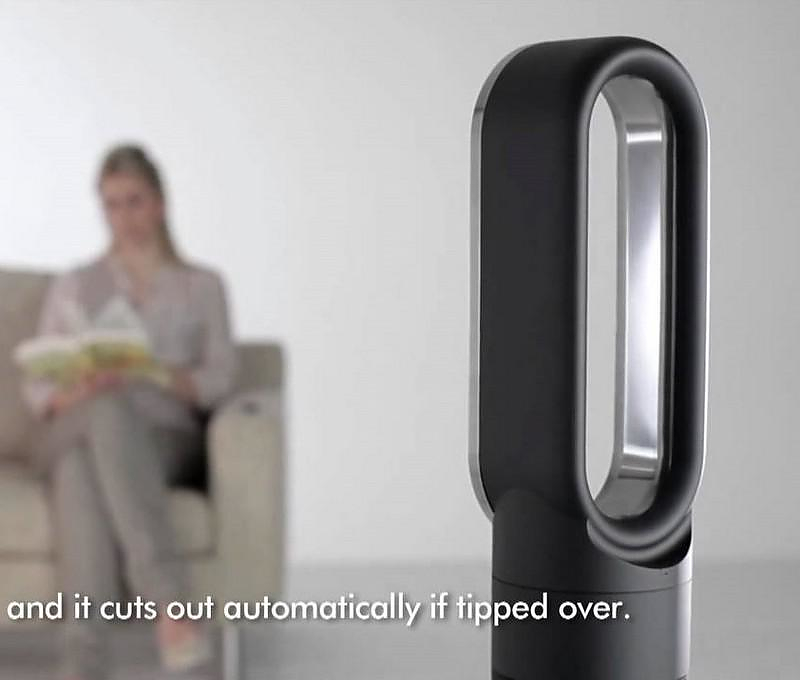 HomeBlogTechnologyAM05 Hot + Cool Fan Heater by Dyson. 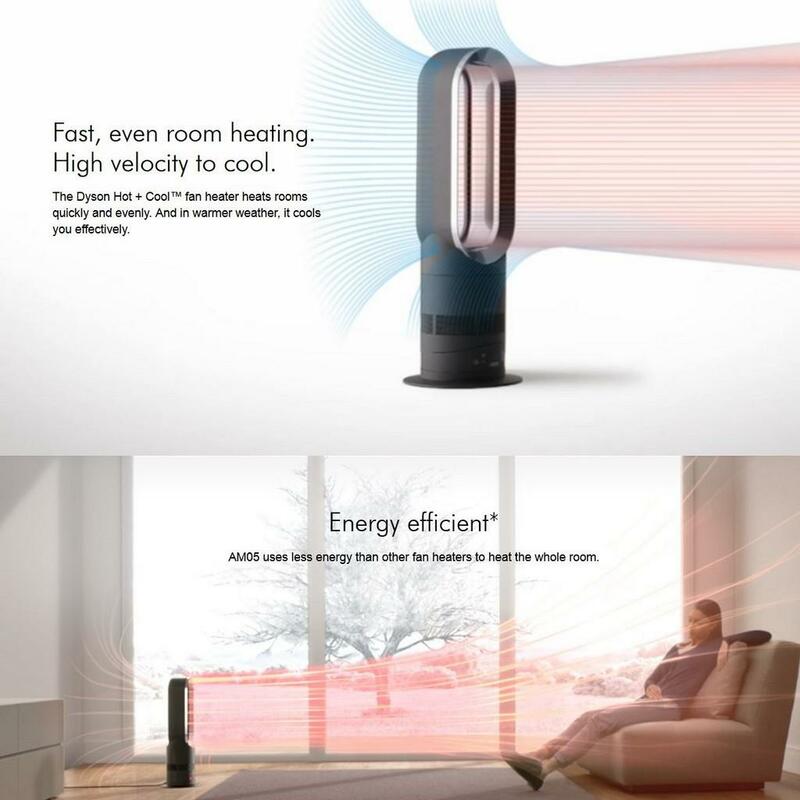 AM05 Hot + Cool Fan Heater by Dyson belongs to the series of electric heaters and fans designed by Dyson using the innovative Air Multiplier™ technology for long-range heat projection, it draws in and amplifies air 16 times. 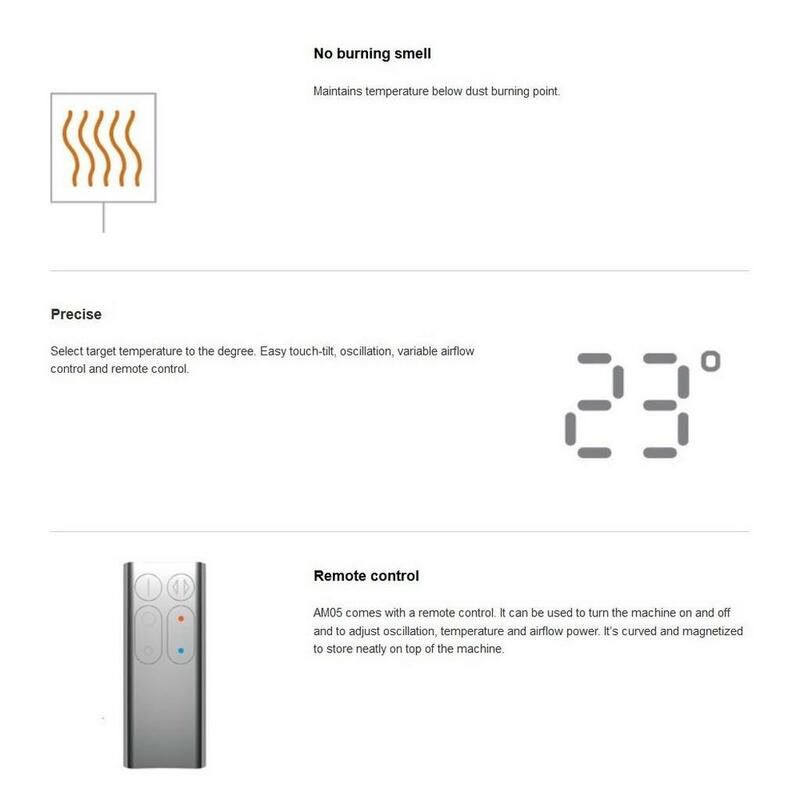 The AM05 Hot + Cool fan heater provides direct heat throughout the room. 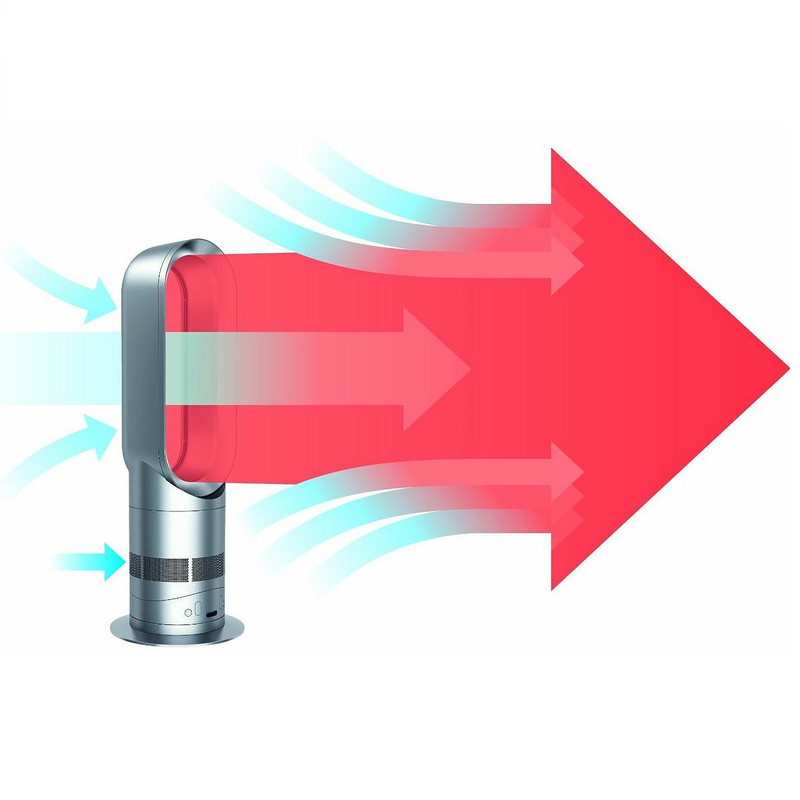 The air gets sucked in from a small fan inside the base of the appliance and the ring of the upper part accelerates the wind even more using the specially designed aerodynamic loop taking advantage of the Venturi effect. 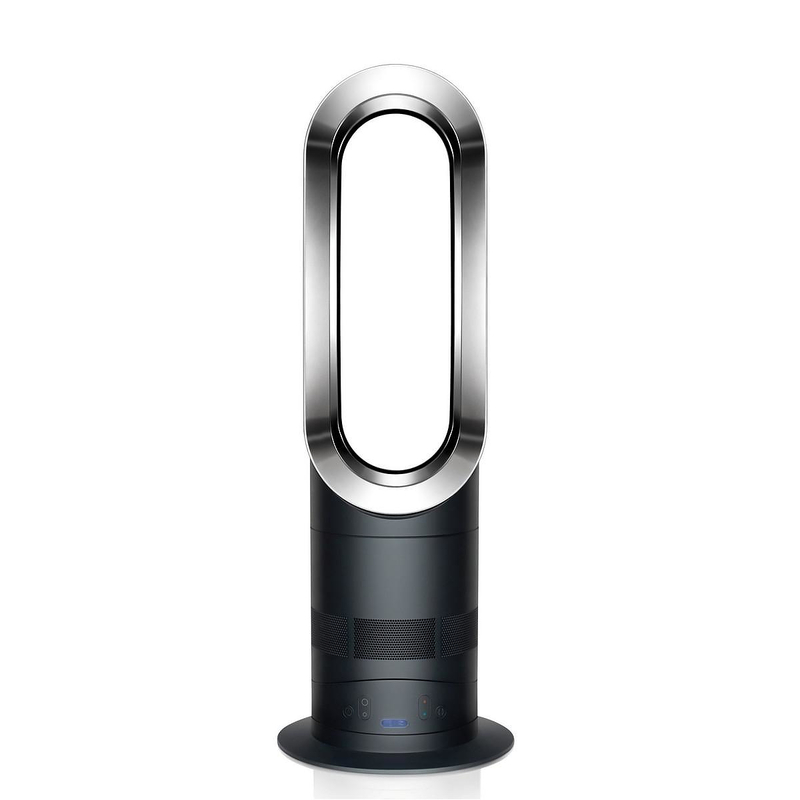 When used as a cooling fan it has powerful airflow and high air velocity to cool you effectively. 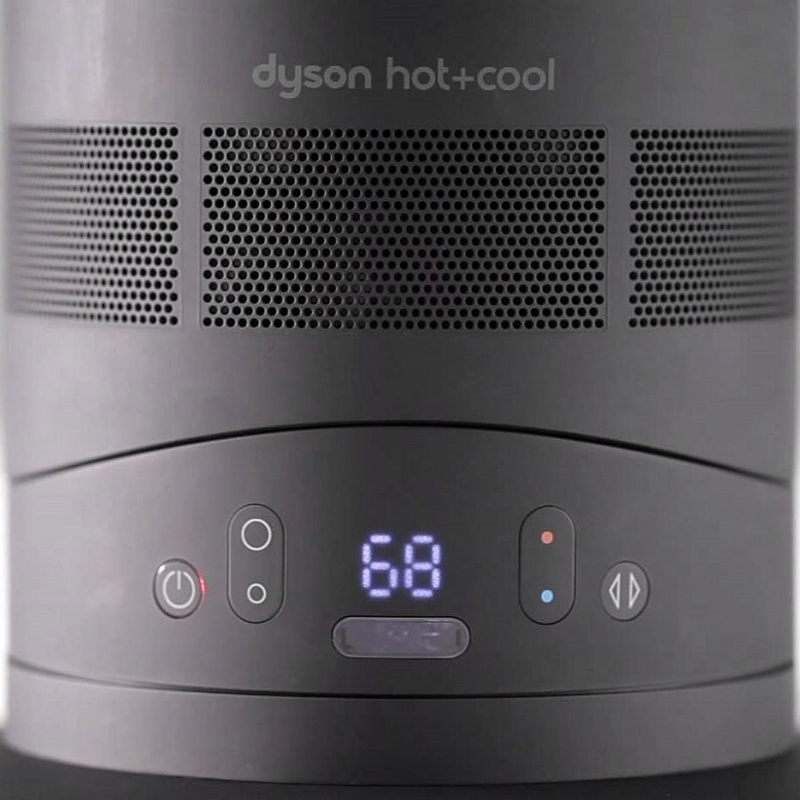 Safe to clean, the AM05 Hot + Cool Fan Heater by Dyson has no visible heating elements or fast-spinning blades, and the unit switches off automatically if tipped over. 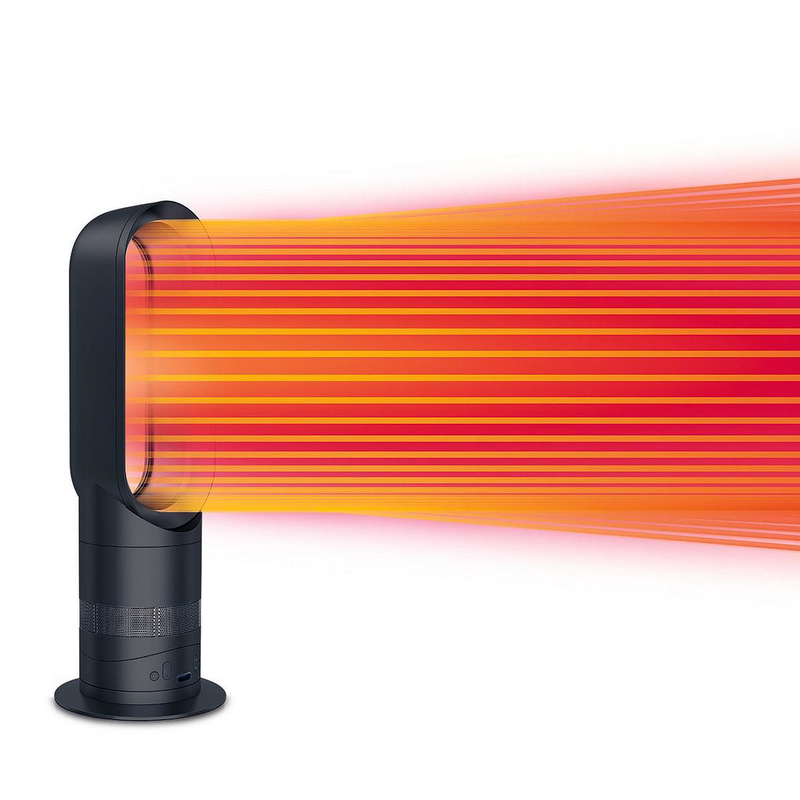 The bladeless AM05 Hot + Cool Fan Heater is completely silent, with no burning smell. 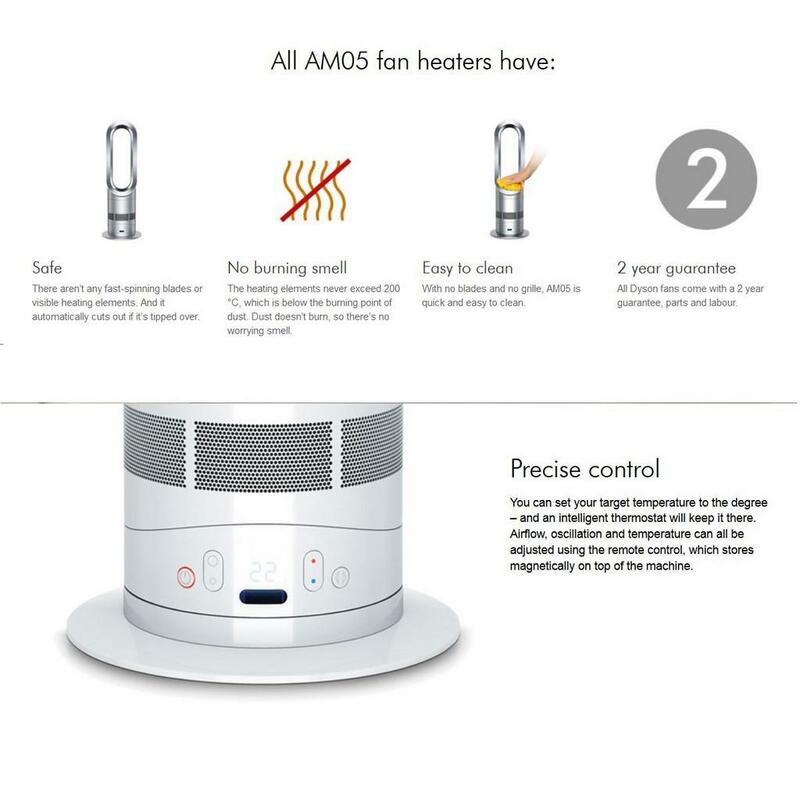 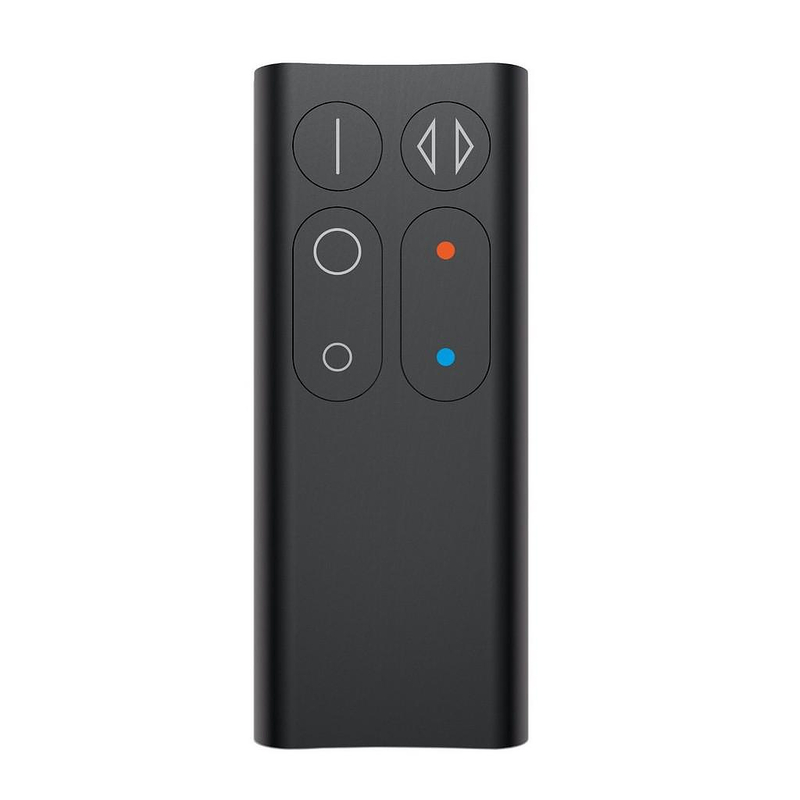 It also allows precise selection of target temperature to the degree, and comes with a remote control which is curved and magnetized to store neatly on top of the machine. 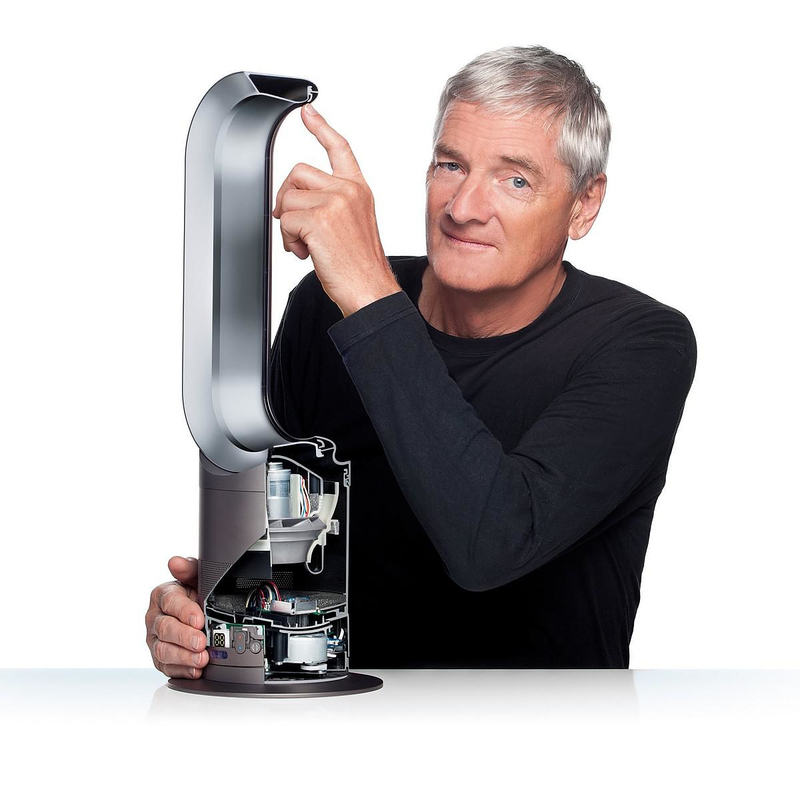 In 1993 James Dyson set up DYSON the company that prides itself on engineering products which work better, opening a research Centre and factory in Wiltshire, England. 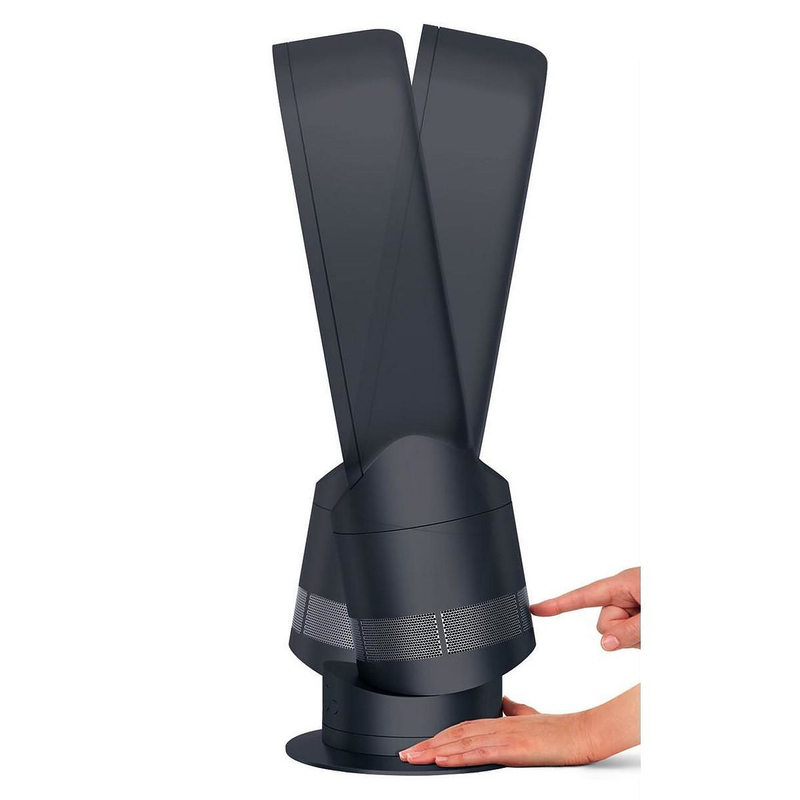 The DC01 became the biggest selling vacuum cleaner in the UK in just 18 months. By 2009, Dyson began creating other air-powered technologies, the Air Multiplier bladeless fan and Dyson Hot, the bladeless fan heater. 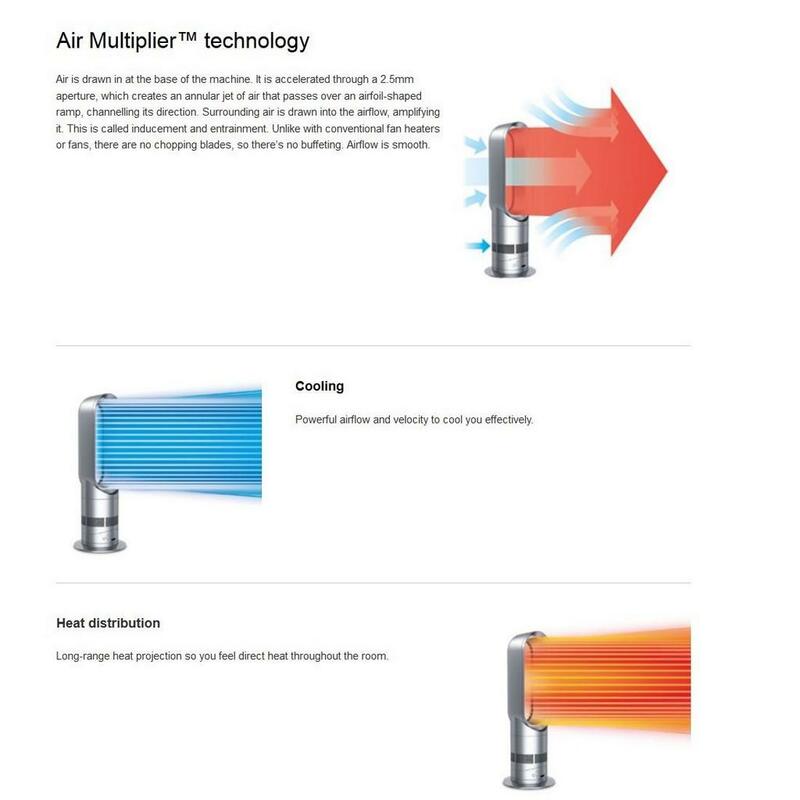 Air Multiplier fans by Dyson. 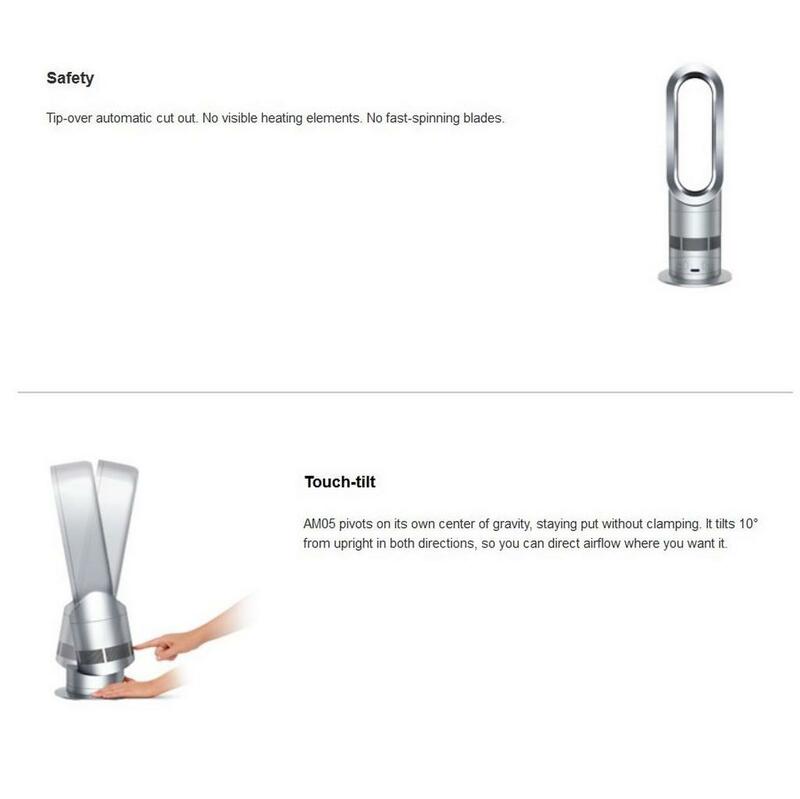 TWO Ceiling Fan by CEA Design is an “Air Revolution”.